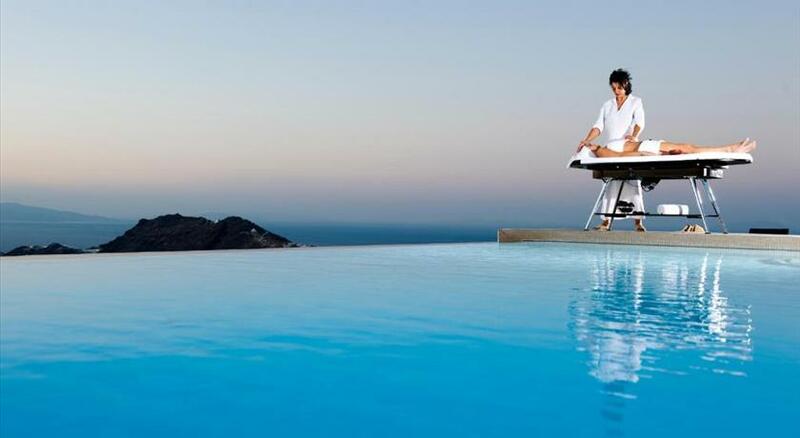 The 4-star Tholos Resort is situated in Imerovigli , one of the most beautiful villages in Santorini . 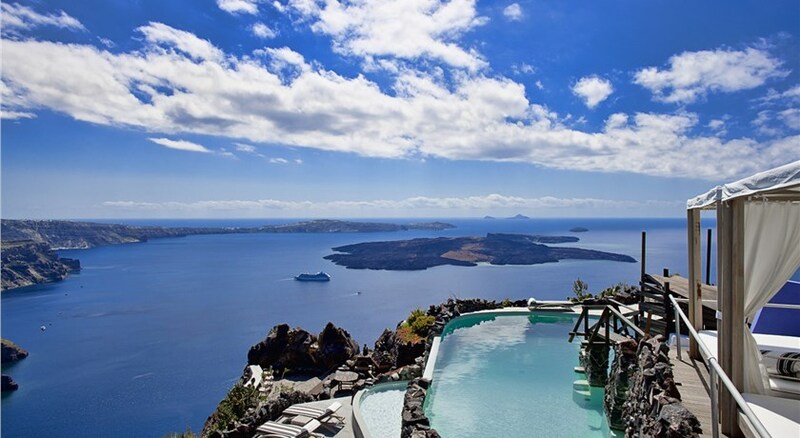 Sitting on the cliff of the Caldera the hotel enjoys panoramic views of the sea and the volcano. All stylish suites open to a balcony with views over the volcano. They all include air conditioning and a flat-screen TV. Guests can start their day with a rich American breakfast served in the privacy of their private balcony or at the restaurant’s terrace. At the swimming pool, guests can relax with a coffee, soft drink or cocktail from the bar. The helpful staff are always on hand offering advice and assistance. Taken from a drone fly over that shows the hotel from above. 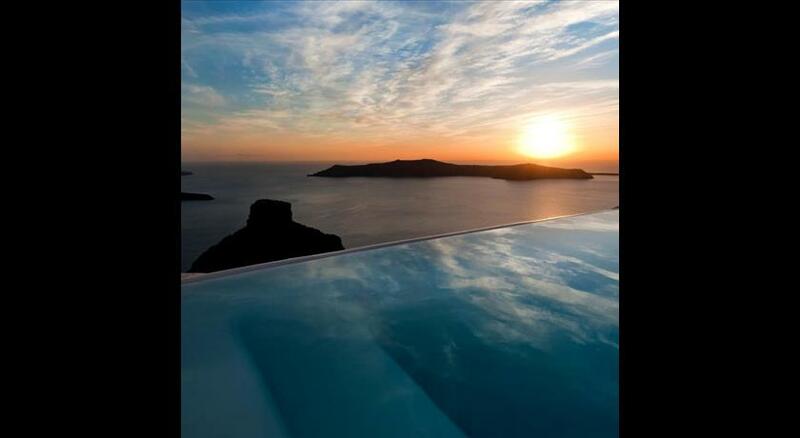 Tholos Resort is located in Imerovigli's caldera. All children are welcome. Up to three children under 6 years stay free of charge when using existing beds. All children under 2 years stay free of charge for children's cots/cribs. All children under 12 years are charged EUR 35 per night for extra beds. The maximum number of extra beds in a room is 1.